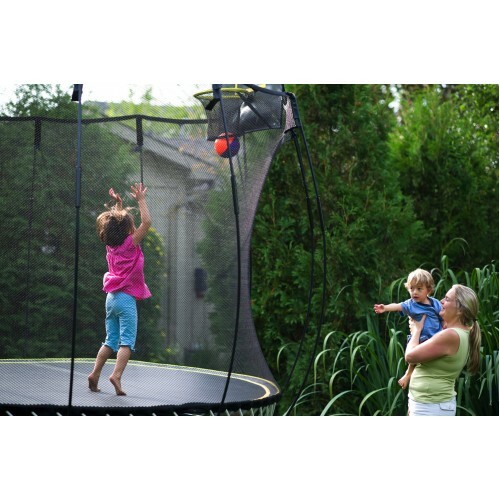 Our 3m round trampoline is designed for medium-sized yards and children of all ages. Our medium round trampoline is the best of both worlds - not too big and not too small. A soft bounce designed for medium-sized gardens and children of all ages. The jumping surface of our 10ft round trampoline is equivalent to that of a 12ft round trampoline with springs. The medium round trampoline allows you to maximise your jumping surface while saving valuable garden space. A New Way to Play! 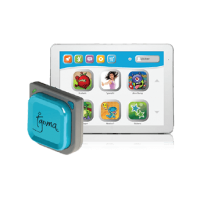 tgoma® turns your Springfree into the first outdoor interactive digital game system. 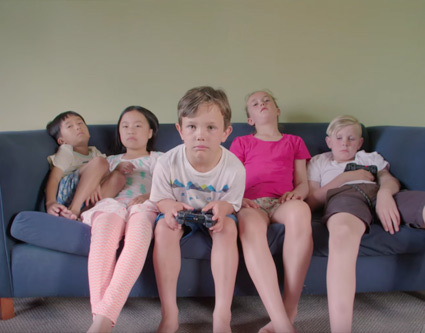 Take Games Outside and Make them Active! 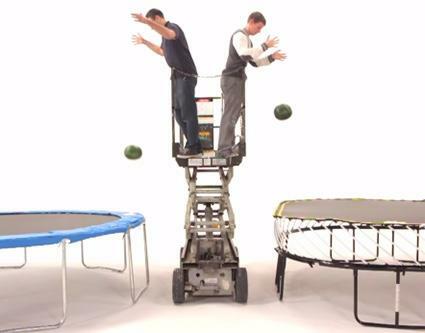 Why is Springfree the world’s safest trampoline? 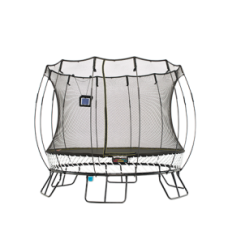 Our springless patented design has not only changed the way trampolines work but eliminated the impact areas that cause 90% of all product-related trampolines injuries. Springfree owners understand the importance of quality in providing years of backyard fun for their families. See what they have to say. Springfree is completely springless. 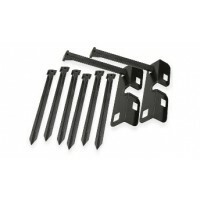 We use flexible composite rods that are positioned below the jumping surface and out of harm’s way. 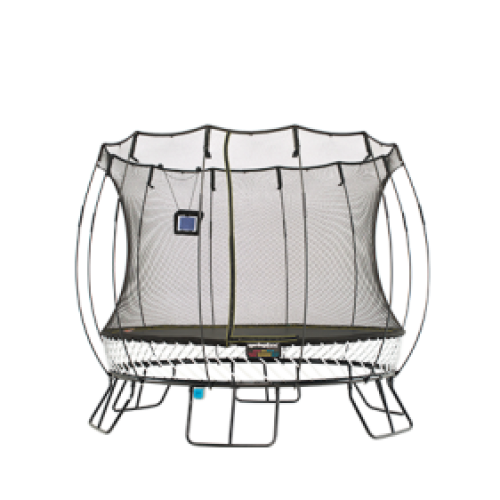 Spring-based trampolines have coil metal springs that may pinch or injure a jumper. The SoftEdge mat is 30 times more shock absorbent than foam pads. 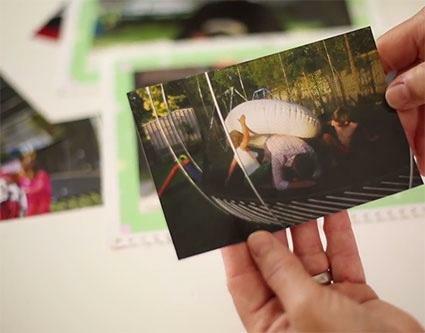 The pads on a spring-based trampoline do not protect from injury, lose much of their shock absorbency after the first impact and have the shortest lifespan of any part of the trampoline. 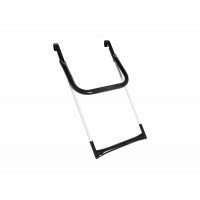 The frame on a Springfree is positioned well beneath the jumping surface – where you can’t land on it. The frame on a spring-based trampoline is level with the mat and if fallen on, can result in serious injuries such as fractures, lacerations and head injuries. Our unique design features a fully flexible enclosure that cushions jumpers and prevents falls. 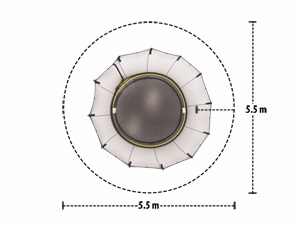 Spring-based trampolines enclosures use steel poles to support a rigid net. A jumper may collide with the steel pole, causing injury. Or slide down the net and land on the frame and springs. Our FlexrHoop adds a whole new element of fun to the trampoline. It’s built with the same materia.. The FlexrStep allows for easier entry onto the trampoline without introducing a hard surface to the .. 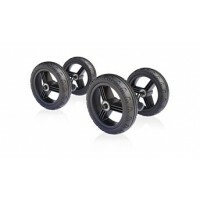 The Shifting Wheels make it easy for one adult to shift the trampoline when yard work needs to.. 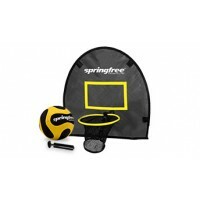 The Springfree™ Trampoline Ground Anchor helps to safely and securely anchor your trampoline to the ..
Four sensors on the trampoline mat connect wirelessly via Bluetooth® to a tablet. Using the body as ..